This story is a part of the ongoing Back 40 series, where High Country News reporters look at national trends and their impacts close to home. 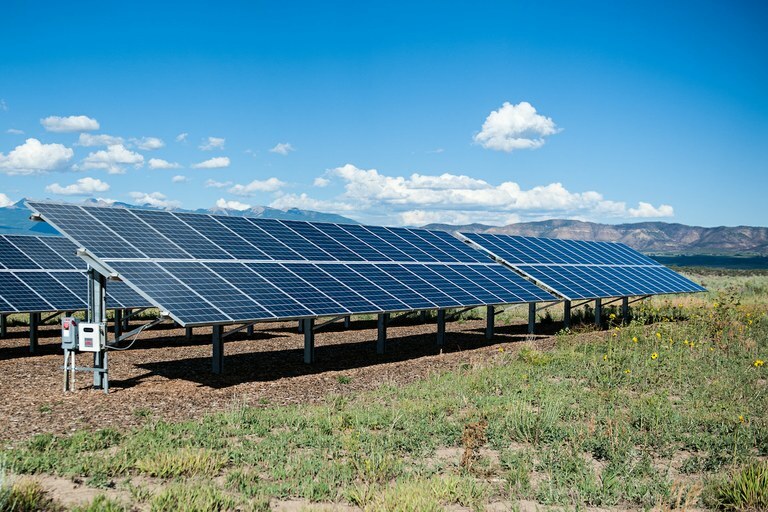 Bill Patterson, the board president for the Delta-Montrose Electric Association (DMEA), a rural utility in a conservative pocket of Western Colorado, thinks the shift to renewable energy just makes plain economic sense. And DMEA members agree. Last week they voted in favor of giving the electric co-op the option to sell stocks in order to raise enough money to buy itself out of its contract with the wholesale provider Tri-State Generation & Transmission due to a desire to produce more renewable energy, locally. DMEA is one of 43 rural utilities across four states that have contracts with Tri-State but would be only the second to break with the provider. In 2016 the Kit Carson Electric Cooperative in Taos, New Mexico, paid $37 million to sever its own contract. A 67-kilowatt solar array in Montezuma County, Colorado. Tri-State, like many other wholesalers, has a portfolio hamstrung by its investments in coal. That is keeping energy rates higher for rural co-ops that are tied to long-term contracts with the provider. A lot of these smaller co-ops “are chomping at the bit to take advantage of cheaper renewable energy sources,” said Lu Nelson, policy program assistant for the Center for Rural Affairs, based in Nebraska. Not just for economic reasons, but also because “you have a lot of co-ops that are getting pushed from members or utilities … to do more,” Nelson said. And DMEA is feeling that pressure too. “It is really going from being a utility-defined market to a customer-defined market,” said Patterson. For DMEA, the benefits of leaving Tri-State outweigh the costs — assuming that the wholesaler is willing to negotiate a “fair and equitable” buyout rate. So far, the numbers put forward by Tri-State have been far from that reality, said Patterson. But eventually, when DMEA does reach a deal, it could mean a complete transformation in energy generation for this conservative part of the state — with renewable projects that would outpace progressive neighbors like Telluride, which belongs to the San Miguel Power Association. In the process, DMEA anticipates more stable, cheaper electricity rates for its members. Note: This story has been updated to clarify a statement by DMEA’s Bill Patterson.